Do you struggle to find time to prepare and eat a nutritious meal? Could your diet do with some more fruit and vegetables? These five healthy smoothies from our friends at Formulite are a fast, easy and convenient way to get your daily dose of vitamins, minerals, protein and fibre. And the best part is that you can drink them on the run! So fire up your blender and give it a try for a delicious, nutritious meal on the go. All smoothie recipes serve 2 and can be quickly and easily prepared. Simply combine all ingredients in your blender until smooth and creamy. Nutrition information per serve: 1264kJ, 6g fat, 28g protein, 30.5g carbohydrate. Nutrition information per serve: 1527kJ, 9.5g fat, 25.5g protein, 50.5g carbohydrate. Nutrition information per serve: 1039kJ, 6g fat, 26g protein, 23g carbohydrate. Nutrition Analysis per serve: 1079kJ, 10g fat, 20g protein, 18g carbohydrate. Please note: nutrition analysis has been calculated using Formulite protein powders available in our online store. Nutrition information will change using other powders. You can read our full review of Formulite here. 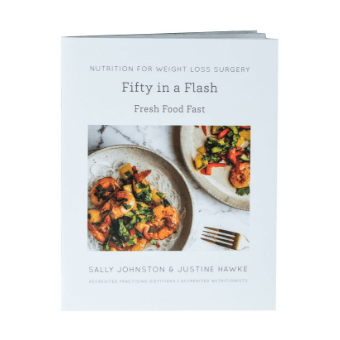 And before you go, please grab one of our FREE Weight Loss Surgery Toolkits!